Welcome to Bark Busters Home Dog Training Denver South, Littleton CO areas. My love for dogs and fascination for the human side of being a pet owner makes Bark Busters a perfect fit for me. My job is to train humans how to speak dog. The goal is to make your pet happier and healthier by creating a "pack leader" mentality in their family. I have been working with dogs for many years and decided that Bark Busters was the best place to continue to learn and grow while working with clients from all walks of life to enhance their day to day interactions with their dogs. I help create and strengthen a family's bonds by building confidence and leadership. Many of my clients contact me after having tried multiple other sources that have failed. 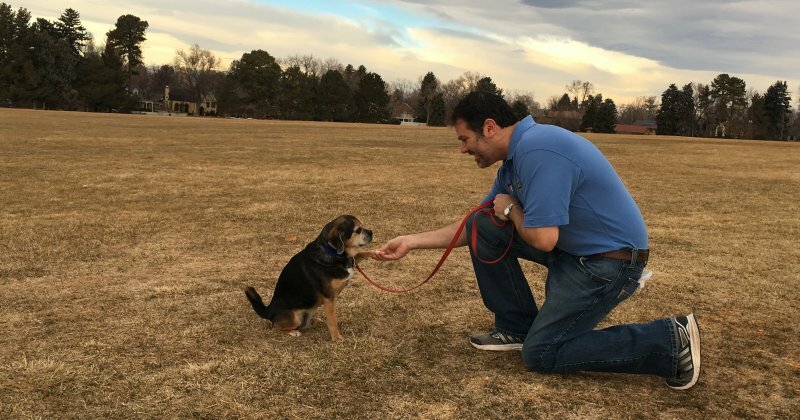 All my lessons are "in-home" which gives the owner the added benefit of educating their dog in their home and correcting where most of the unwanted behaviors occur. Don't do anything with your pet until you contact me. Visit my personal website Dog Training Denver South.